I use these settings to highlight undesirable whitespace in my code. By undesirable I mean tabs (when I use spaces for indentation) and any trailing whitespace. Go to General > Editors > Text Editors. 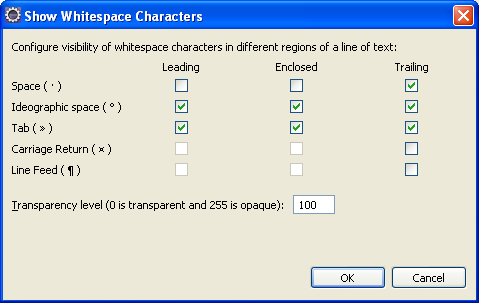 Check the Show whitespace characters checkbox. 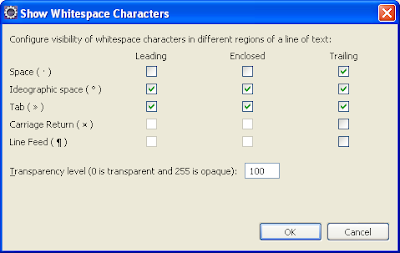 Click the whitespace characters link. Click OK to save the whitespace settings.